Carrots are one of the best vegetables for juicing. It would be on top of the list especially for those just starting with juicing. It tastes good. It looks good. And it’s good for you! That’s an all-in-one package for a vegetable. Carrots taste sweet and delicious. They also have that bright orange color that entices one to eat it (or drink it). Carrots have lots of vitamins and minerals that will truly benefit those who partake of it. Here are some of the advantages of drinking carrot juice. When you think about carrots and its benefits, the first one that would probably come to mind would be stronger vision. 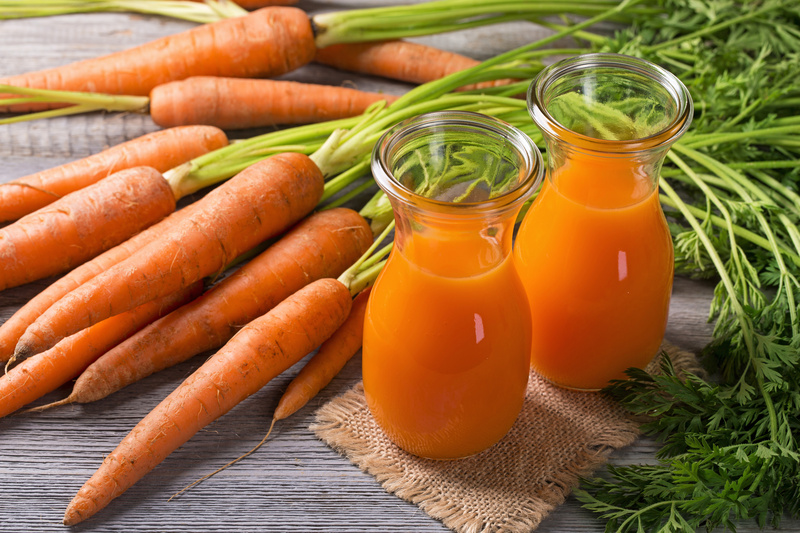 How does drinking carrot juice help you have healthier eyes? It’s because of the beta-carotene. This is a kind of Vitamin A that is found abundantly in carrots. If one lacks Vitamin A, this can affect the person’s eyesight or maybe even leave the person blind. But with enough Vitamin A, like the ones found in carrot juice, there’s less risk for this. Other diseases that can be avoided included macular degeneration and cataract. Both diseases give the person blurry vision, but the first one affects the center of the retina and the other fogs the lens of the eye. Take care of your eyes and drink carrot juice. Rashes and acne. These are just two skin problems that you don’t want to land on your skin, do you? Or if you have them, you just want them to go away. Drinking carrot juice may help you with that. If you think only citrus fruits have vitamin C, then think again! Carrots have them, too. Vitamin C has healing benefits. It can help to get rid of your rashes. If you have wounds on your skin, drink carrot juice and watch it heal faster than before. The vitamins in carrots detoxify your body and helps you avoid acne. Carrot juice can also help to avoid or reduce sunburn. If you have dry skin, the potassium in the carrots will help to moisturize your skin. These are just some carrot juice benefits for skin. For glowing skin, drink carrot juice. To lose weight, you have given up drinking soda and store-bought sugary juice drinks. What do you drink instead? Freshly made vegetable juice, of course. We recommend – carrot juice! Because you juice it yourself, you’re sure that you don’t add any sugar and you’re sure you won’t be adding more to your weight with this kind of juice. If you miss the sweetness of your old drinks, the sweetness of carrot juice may suit your taste. As a great substitute for those unhealthy drinks, you will be happy to know that drinking carrot juice will increase your metabolism. That means, the fats and glucose are broken down faster. The phosphorous in carrot juice also aids in weight loss. It also cleanses the liver and lowers cholesterol. If you need an energy boost or if you need to get rid of harmful toxins, drinking carrot juice can help you with that. Enjoy your weight loss journey and drink carrot juice. Carrying a baby inside of you, is another good reason to better take care of yourself, to eat healthier. Drinking carrot juice when you are pregnant is equivalent to taking care of your baby as well. Mothers-to-be take lot of vitamins to have a healthy body during and after pregnancy and also to help in the development of their unborn child. The calcium found in carrots help in the development of the baby’s bones as well as supports the mother during pregnancy. Drinking carrot juice can also help breastfeeding mothers to have an increase supply of milk for their baby. Folate, potassium and magnesium are also found in carrot juice and are also great for pregnant women. Drinking carrot juice can really help pregnant mothers. Here are some Carrot Juice Recipes for you! Here’s a great carrot juice recipe that’s good for weight loss. The carrot will give your taste buds the sweetness it desires, without adding some pounds. The celery removes uric acid from your kidneys as well as unneeded water. Apples are also packed with vitamins and minerals that your body needs. This juice is filling and refreshing and will help you in loosing weight. Wash the fruits and vegetables. You don’t have to peel them. This juice has carrots and celery like the first recipe but for this one, we will use citrus. This juice is very rich in vitamin C that is great for healing wounds. Drink this and enjoy. Peel the citrus fruits. Make sure you remove the seeds as well so the juice won’t have a bitter taste. Enjoy your carrot citrus juice! There’s no question that carrot juice is good for you. It can even prevent cancer. But remember that anything taken in excess can be harmful for you. There may be some carrot juice disadvantages to watch out for. Too much carrots can make your skin turn yellowish or somewhat orange. Did you know that some people may be allergic to carrots? If you notice some skin rashes or some swelling after drinking carrot juice, you might want to slow down. Just remember to take things in moderation and enjoy the benefits of drinking carrot juice. I’m not sure how long your list of the best vegetables for juicing will be, considering that not all vegetables taste good. They’re not as sweet to the taste buds as the fruits, but at least try.Your mama always told you to eat your vegetables. And you, in turn, are telling your children to eat vegetables. Let’s face it, not everyone really started out loving vegetables. Although everyone knows they’re good for you. 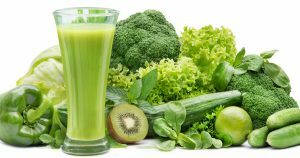 There’s an option that is getting people to eat their vegetables – and that is vegetable juicing. Many have tried this process and have discovered the benefits of drinking vegetable juice daily. Do you plan on embarking on this path to health and wellness? You might want to create a list of vegetables that you will need to start juicing. There are options for great tasting vegetables and you can even add natural sweeteners like fruits. And remember how nutritious vegetables are. Eating vegetables is one of the keys to a healthy lifestyle. Just like they say, “If there’s a will, there’s a way.” If you really want to take this course of drinking healthy, then you should make ways to achieve that. Okay, we will start with this better tasting vegetable. The orange color looks very vibrant and that makes the juice look good to eat (or drink). And the best part is how nutritious this vegetable is. When you think of carrots, you’ll remember that these orange vegetables are good for the eyesight; it can even prevent night blindness. It is said to reduce the risk of cancer and heart disease. It’s also good for the digestive system. If you need immunity boosting juice, carrot juice is the way to go. And because carrots taste good, you can add this to the other vegetables that you’re not very fond of and improve their tastes. Just by cutting a cucumber you can already tell how juicy this vegetable can be. It has 95% water content which makes a perfect base for your vegetable juice. Just like carrots, cucumber may also reduce the risks for cancer and are good for the skin. In addition to these benefits, cucumbers can reduce the risks for stroke and is good for the brain. Drink cucumber juice and you’ll be hydrated in no time. Have you tried lemonade with cucumber juice – what a great combination. Or you can add your favorite citrus or another vegetable like kale. If you think that vegetable juice benefits weight loss, then you’re right. Just consider the sweet potato. The name just sounds good, right? Wouldn’t it make your vegetable juice sweeter and more delicious? So, it’s sweet and it’s good for you! This is one of the best vegetables to use when juicing if you are worried about the taste. Some may be tempted to add unhealthy sugar to sweeten the juice and make the taste bearable. But with sweet potato in your drink, you don’t have to worry about that. It even helps reduce the risk of cancer. It’s also good for the blood and bones. Let’s move on to some green vegetables specifically one that comes from the cruciferous family. This vegetable is packed with vitamins and minerals. It has calcium to strengthen the bones and it has Vitamin A which is good for the eyes. It is a great source of Vitamin K. It is anti-cancer. Drink kale and improve your health. What’s good about this vegetable is it goes well with other vegetables like celery and cucumber. Brocoli may not be the best-tasting vegetable, but remember, it’s good for you. So, you need this green vegetable. Just like Kale, it is a member of the cruciferous family. It’s good for your eyes, skin, hair, blood, brain, liver, teeth, and bones. In addition to that long list body parts that this vegetable helps, broccoli also boosts your immune system and is a great antioxidant. If you can’t handle the taste, add some apples or pears or your favorite berries such as blueberries or strawberries. Just like cucumber, celery also has 95% water content so it’s a great vegetable for juicing. Because of it’s high water content, it will easily hydrate you on a hot day. This vegetable is also good for the heart, bones, muscles and digestive system. Although you only put one stick in your juice, you can already get lots of vitamins and minerals. There are other vegetables that are great for juicing. You may add some cabbages, spinach, swiss chard, wheat grass or even dandelion greens. You can mix different vegetables or add some fruits to improve the taste. You may include some herbs and spices like ginger, mint and others. You can start with the following recipes to start your vegetable juicing journey. This orange-colored juice actually has vegetables in it. Even your little ones will enjoy this vegetable (fruit) juice. Enjoy the taste and the health benefits to this juice. This is good for your eyes, heart, digestive system and it’s good for your taste buds as well. 1. Wash and peel the carrots. 2. Peel the orange and remove the seeds. 3. Cut the apple into 8 pieces. 6. Add fresh mint and ice. 7. Enjoy ice-cold carrot-orange juice! The green color of this makes it really look like a vegetable juice. But don’t let the looks stop you from drinking for your health. This is a great energy booster. This juice will also lower your blood pressure, thanks to the celery. Get hydrated with the cucumber kale juice. If you really don’t like the taste, you can add some apples to the juicer. 1. Wash the vegetables and cut them up into pieces.